There is a program in Louisiana that helps families with special needs children with housing, transportation, healthcare, employment, and other essentials. The program is a valuable tool for families truly in need of assistance when developmental disabilities can take up so much of a parent’s time and resources. 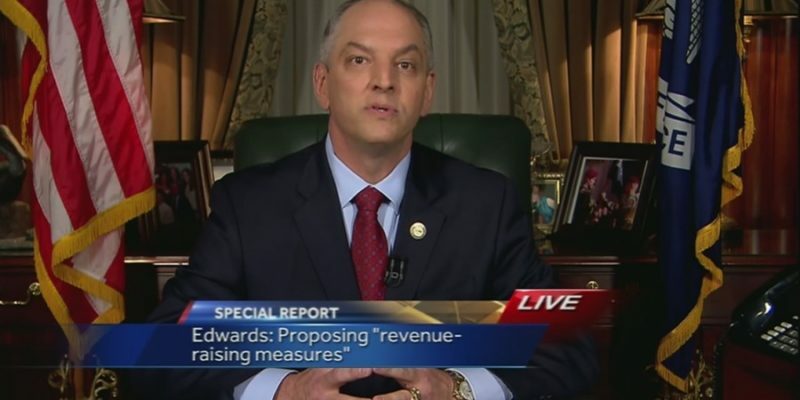 And, Edwards, has threatened to cut those services if the legislature doesn’t raise taxes. The fact of the matter is that tax increases will likely happen. To what degree remains up to the legislature, but we are simply at a point in state government where it is unlikely that we can make any more cuts. Sure, there are places that desperately could use cuts, but we have very few options that aren’t protected by our state’s constitution. However, it is utterly classless and despicable that the governor would threaten to cut services that help our families with developmentally disabled children simply because he doesn’t get a tax increase. Like most of his insane speech, it was simply a scare tactic meant to act as emotional terrorism, to frighten the masses into pressuring the legislature to action. What’s worse is that no one seems to be fighting back on this particular claim because no one wants to look like the guy who doesn’t care for the developmentally disabled. In other words, the emotional terrorism is working. These are services that are absolutely necessary, and yet the governor would threaten to cut them over a lack of tax increases. The threat to end LSU football was cute and a bit funny, but this threat is just outrageous, and no one seems to care that the governor just used these families as a rehtorical tool instead of respecting them as people in need, who need protection in what is very clearly a statewide recession. The citizens of our state should be absolutely appalled that the governor said what he did about the program, and about cutting off assistance to these families. But they won’t. The scare tactic worked, and we have empowered Edwards because we haven’t fought back.